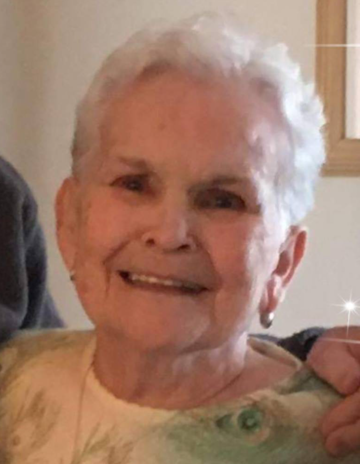 NASHUA—Janet L. Dube, age 82, passed away in Spring Hill Florida, on March 19, 2019. She was the beloved wife of Gerald C. Dube, Sr., with whom she would have shared 62 years of marriage. Born in Nashua, NH on March 9, 1937, she was a daughter of the late Arthur and Irene (Kerouac) Mercier. Janet was a graduate of Nashua High School’s class of 1955. Following her education, she worked for many years as a branch manager at the former Bank of NH (TD Bank). Janet enjoyed traveling and shopping in her free time. She was notorious for spending the whole day shopping with her sister, and preparing for upcoming holidays and birthdays. There was no greater joy in Janet’s life, though, than her family and friends. She loved having family all together. She was an attentive, caring, and kind individual, and would do absolutely anything for the people she loved. She will be greatly missed but will live on in all our hearts. Besides her loving husband, Janet is survived by her three children, Robin Calaguiro and her husband Francis of Dover, NH, John Dube and his wife Vickie of Pepperell, MA, and Gerald Dube, Jr. and his wife Charlie of Danville, NH; her thirteen grandchildren, Celine Calaguiro, Joshua Calaguiro, Jennifer Grimshaw and her husband Steven, Christopher Dube, Samantha Dube, Robert Bolton, Hailey Russell, Shayla Russell, Colby Jan Wolff and her husband Bill, Lacee Dube, Ronny Dube, Stevi-Lynn Gately, and Ryan Gately; her four great-grandchildren, Alexa Dube, Hayden Cole Calaguiro, Aynslie Calaguiro, and Arabella Grimshaw; her two siblings, Pauline Morello of Spring Hill, FL, and Ernest Mercier of Nashua; her two sister-in-laws, Estelle Gibson and her husband Jim of Oregon, and Jackie Dube of FL; her brother-in-law, Laurent Sevigny of FL, as well as many nieces, nephews, cousins and loving friends, all of whom she treasured. Janet was the sister of the late Robert Mercier, Normand Mercier, Roger Mercier, Paul Mercier, Hank Mercier, Theresa Sevigny and Rita Vigneault. She was also the mother of the late Celine Dube, whom she lost at birth. A Funeral Mass will be held for Janet at a later date, publication will follow for more details. As an expression of sympathy, donations may be made in Janet’s honor to the Nashua Emblem Scholarship Fund, PO Box 113, Nashua, NH 03061. Checks may be made payable to Nashua Emblem Club #170.